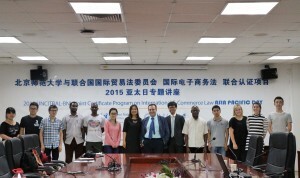 2016 Spring Week for UNCITRAL and BNU Joint Certificate Program on International E-Commerce Law (JCP) has successfully concluded with three major academic events. On June 14, 2016, 18:00-20:00, JCP organized the Expert Lecture at the Law School Auditorium 1824 New Main Building, Beijing Normal University. 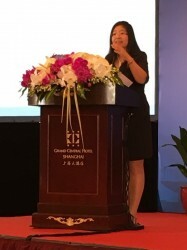 Prof. Xue, the Co-Director of JCP, moderated the Lecture and reviewed the development of JCP, including three JCP weeks organized consecutively since 2014. Dr. Luca Castellani, Co-Director of JCP, gave a presentation on the so-called “uniform legal texts” of UNCITRAL on e-commerce, such as the two Model Laws and UNECC and recent initiatives on electronic transferable records (ETRs) and electronic identity management. 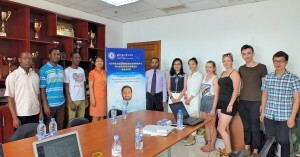 More than twenty students joined the Lecture and interacted with the Directors. 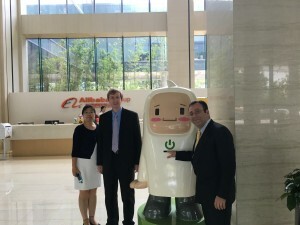 On June 17, 2016, four Members of the JCP International Expert Advisory Committee (IEAC), Prof. Xue, Dr. Luca Castellani, Dr. Yann Duval and Mr. Alamusi had a study tour at the headquarter of Alibaba Inc. in Hangzhou. 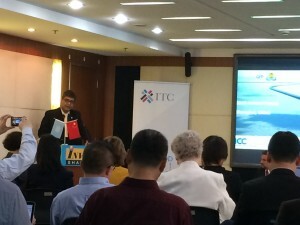 The IEAC members listened the introduction on Alibaba’s international business and especially the One-Touch paperless trade system and expressed their willingness to engage the private sector, particularly the platform service providers like Alibaba, in the international law and trade facilitation activities. 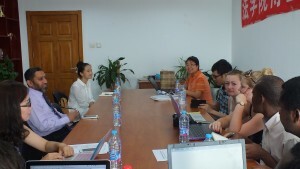 Both parties agreed that they would continue the corporation and develop new projects for collaboration. Prof. Amir Qayyum, Dean of Faculty of Enginner, Capital University of Science and Technology, Islamabad, Pakistan, visited the Institute for Internet Policy & Law (IIPL) and gave an Expert Lecture to the BNU JM, LLM and international exchange students on Mobile Technologies and Relevant Governance Issues on June 6, 2016. Prof. Qayyum talked about the encrytion technology process and method with the PKI to ensure the confidentiality and integrity of communications on mobile network and digital forensics to combat cyber-crimes (including lawful interception). He mentioned that the Pakistan Internet penetration by broadband is aournd 17% while the people who access to mobile data is over 60%. Mobile Internet is the real solution to digital divide and access problem in a devleoping country like Pakistan. 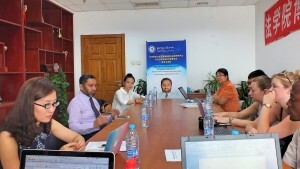 Prof. Qayyum also shared the experence with the Chinese at-large community with respect to the organization of the School of Internet Governance (SIG) in Pakistan. He talked about the curriculum, faculties, fudning, international cooperation and managment of the SIG of which he was on the 2015 Management Committee. The Representatives from the two ALSes, Chinese Domain Name Users Alliance (CDNUA) and At-Large @ China presented at the meeting and had the interesting discussion with Prof. Qayyum. The discussions are helpful for the Chinese community to improve the APILP and develop the other capacity building programs in China. The Global Facilitation Partnership for Transportation and Trade (GPF) 2016 Annual Forum, organized by ICC, UNIDO and ITC, was successfully held at Invest Shanghai, 15/F New Town Tower, Shanghai. More than 80 representatives from the international organizations (ICC, UNIDO, ITC, UNECE, WCO. UNCTAD), customs authorities (Cambodia, Guatemala), private sector and academia joined the meeting and shared their views on a variety of trade facilitation issues in the nutshell of implementation of the WTO Trade Facilitation Agreement (TFA). ICC China invited around 20 businessmen (including Huawei, Alibaba, Sinotrans) from China and other countries to join the Forum. Prof. Xue gave a presentation at the session on “regional integration”. Prof. Xue talked about the importance of the newly formed UNESCAP Framework Agreement on Facilitation of Cross-Border Paperless Trade in Asia and the Pacific (FA) to the regional integration in the following three aspects. Deep regulatory fragmentation and variation of laws and regulations are pledging the cross-border paperless trade. The FA that is completely complimentary to the WTO TFA provides the legal framework to harmonize the regulatory systems in the region through encouraging the Member States to adopt to the international laws and standards (particularly from UN/CEFACT, ISO and WCO) in their domestic laws. The FA, particularly Art. 8, provides the mutual recognition of e-data and document originated from the other Member States at the substantially equivalent level of reliability, which removes the legal barrier of cross-border paperless trade. The substantially equivalent level of reliability may be achieved through the institutional arrangement of the FA (such as the protocols) or bilateral or multilateral agreements among the Member States. The current FTAs (such as TPP, RCEP), if consistent with the FA, may also be linked up to enable the mutual recognition. Prof. Xue emphasized the importance to engage the private sector in composing and implementing the Action Plan, Road Map and pilot projects of the FA and called their participation in the FA process. 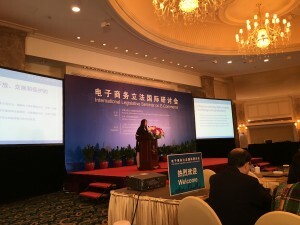 Prof. Xue’s presentation on FA was very well received by the audience. Dr. Saeed from ITC (who is a member of UNNeXT) gave the positive comments. All the participants are getting more interested in the FA and its future implementation. The representative from DHL supported the FA initiative and hoped that its implementation would release logistic companies from submitting both e-copies and paper forms for customs clearance. Prof. Xue responded that “data submitted once” is the kernel of Single Window (SW) definition and the requirement of dual submission is not consistent with UN/CEFACT Rec. 33 on SW. However, if a country has no SW in place, the principle of non-discrimination does not exclude the coexistence of both e-form and paper form. 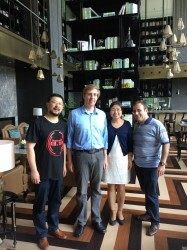 Prof. Xue also briefly talked about the Chinese e-commerce lawmaking. 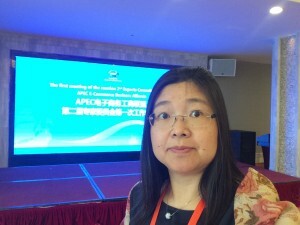 The newly formed China’s National TF Commission to implement the TFA, Huawei’s Global Customs Project, Alibaba OneTouch and the pilot APEC Model E-Port Network (APMEN) (like PAA exchanging e-data and documents among the ports in the network) are all interesting initiatives and deserve further research.